The Presidential candidate of the Peoples Democratic Party, PDP, Alhaji Atiku Abubakar, Thursday arrived Washington DC with Dr. Bukola Saraki, Senate President. 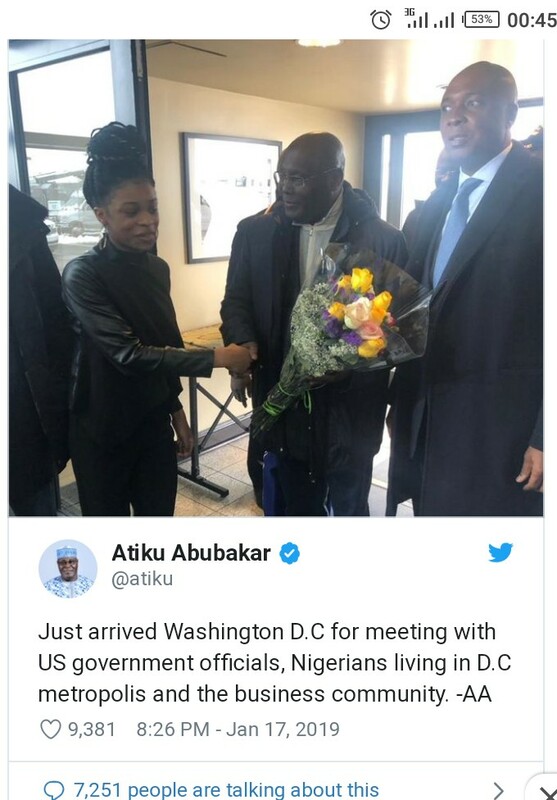 Atiku who disclosed this via his official tweeter handle, was seen in a picture having a handshake with Saraki. The reason for his visit was not made known as at the time of filling this report. His critics had told Nigerians that he would never travel to US because of some corruption charges leveled against him.